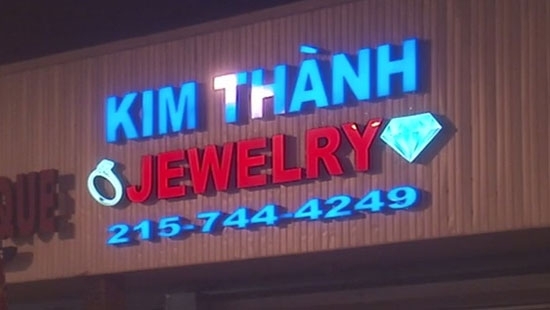 A teenager is in custody after assaulting a police officer in Northeast Philadelphia early Monday morning. It started when 8th District officers received a call of a man walking around a parking lot with a gun on the 12000 block of Academy Road around 4 a.m. An officer stopped the suspect, a 17-year-old boy, and attempted to frisk him. The teen struggled with the officer, picked him up, and slammed the officer to the ground causing him to hit his head. The teen ran off and hid. Police found him 20 minutes later. He was taken to Aria-Jefferson Health Torresdale where the injured officer identified him. The teen also fits the description of a suspect wanted for the armed robbery of a 7-Eleven at Byberry and Academy Rds. on Sunday morning. He faces several charges including aggravated assault and assault on a police officer. Rescuers had to pull a teenage boy from the Brandywine Creek in Wilmington, Delaware on Monday morning. Police and firefighters responded to the 18th Street Bridge at 18th and Market Streets around 7:30 a.m. to the report that someone had jumped from the bridge and into the water. They found the 14-year-old boy sitting in a drainage tube at the base of a retaining wall. Apparently the boy jumped from the bridge and swam to the tube. A rescuer was lowered down and the boy was hoisted back up by 8:35 a.m. He was then transported to AI Du Pont Hospital for Children.